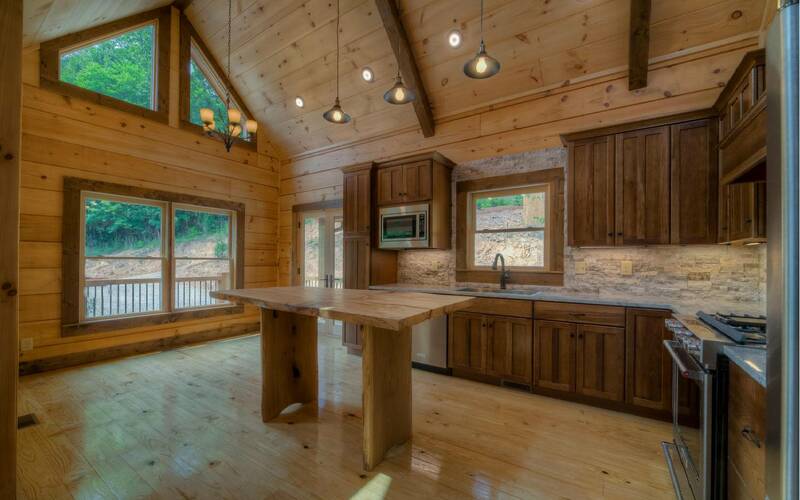 This Hemptown Creek Front Trout Retreat with 3BR - Large Loft - 4BA, New Construction, Hand Hewn Log Cabin; sits just above the creek for maximum viewing of the glistening, rushing waters. 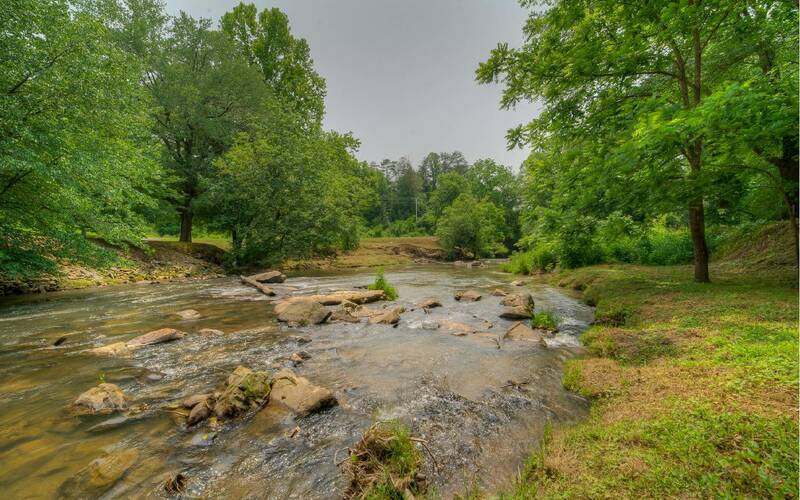 The 1.21 acre lot flows gently from the cabin down to a widespread, level, splendid grassy area & into a Trout Creek Oasis! 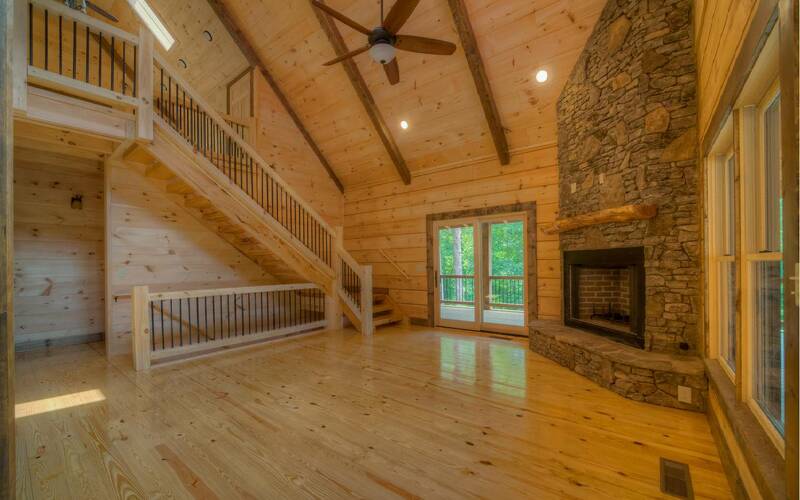 A few of the cabins well appointed features will include: Hickory cabinets; granite counter tops/w tiled backsplash; custom live edge spalted maple kitchen island; stainless steel appliances; 2 fireplaces with TN field stone; T/G pine flooring & tiles baths; 2 tiled showers; full finished basement; 2 HVACs; Tankless water heater. All this and more can be yours! 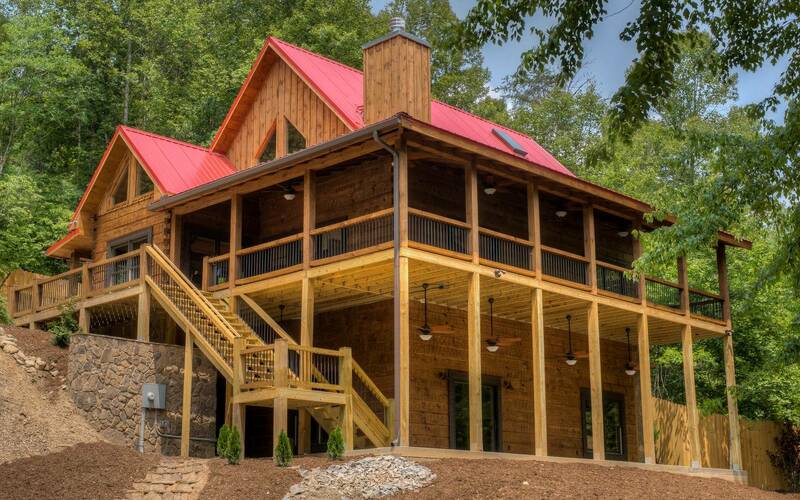 If trout fishing right in your own backyard with 212 ft of creek front bliss and relaxing on your cabins covered front porches listening to the beat of the mesmerizing creek music is what you are looking for, then this is where you want to be! Oh, and don?t forget the hammock!